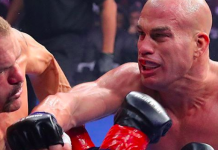 Shortly after he knocked out his arch rival Chuck Liddell in the main event of the first-ever Golden Boy MMA card late last month, former UFC light heavyweight champ Tito Ortiz announced that he planned to retire from MMA for good and focus on his burgeoning career as a fight promotor. While Tito Ortiz assured he was done fighting, and said there is nobody left he wants to share the cage with, it appears he’s changed his already mind. 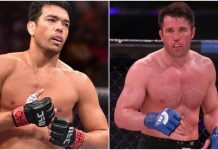 Speaking on Twitter early on Monday morning, the UFC Hall of Famer called for a fight with Bellator MMA’s Chael Sonnen. 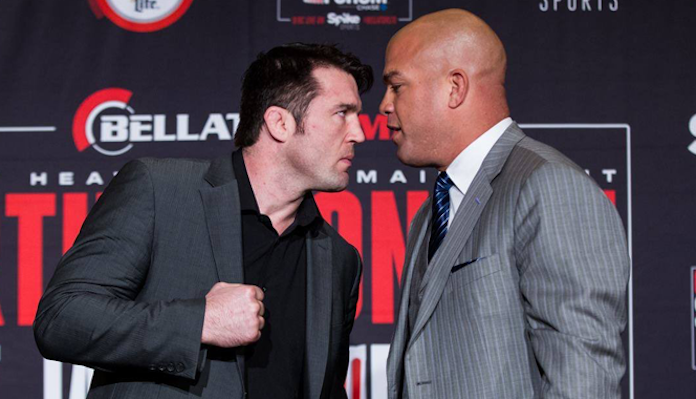 Chael Sonnen and Tito Ortiz first fought in the Bellator cage in January of 2017. In that fight, which followed months of back and forth trash talk, Ortiz submitted Sonnen in the first round. 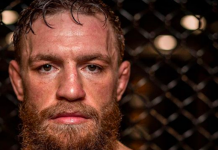 Following this win over Sonnen, Ortiz announced his retirement from MMA, though he ended this retirement less than two years later to rematch Chuck Liddell. 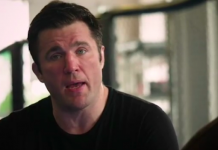 Since losing to Ortiz, Sonnen has gone 2-1, defeating Wanderlei Silva and Quinton “Rampage” Jackson by decision, and losing to heavyweight legend Fedor Emelianenko by TKO. Do you think we’ll see Tito Ortiz and Chuck Liddell rematch in the near future?